The Nonhuman Autonomous Space Agency included the design of several habitats for nonhuman space settlers. The Lazy River rotates to provide artificial gravity forces equivalent to those found on the surface of Mars, about 1/3 the strength of Earth's gravity. This allows chickens to take off and fly, and manatees to crawl up to the central axis, where they too are weightless. Special goggles help prevent the manatee's eyes from drying out. 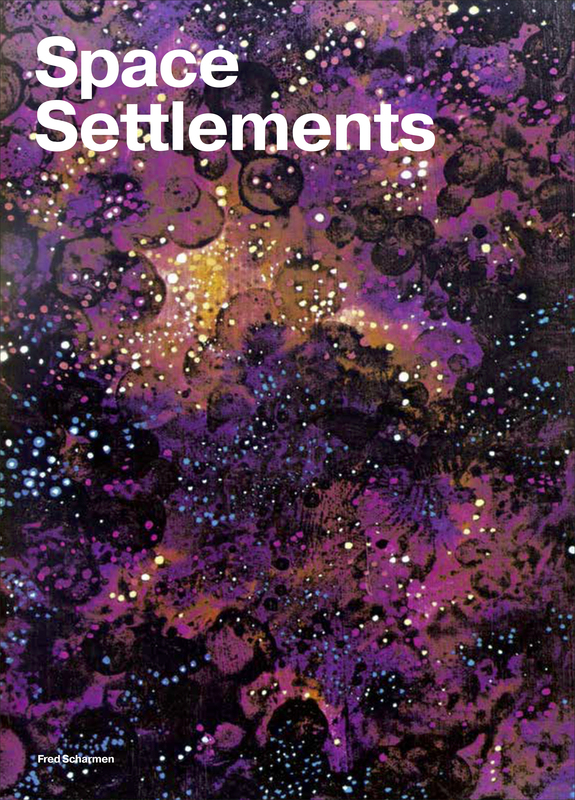 The draft cover for Space Settlements. The book is designed by Hubertus Design, the cover includes a painting by space artist and architect Rick Guidice. 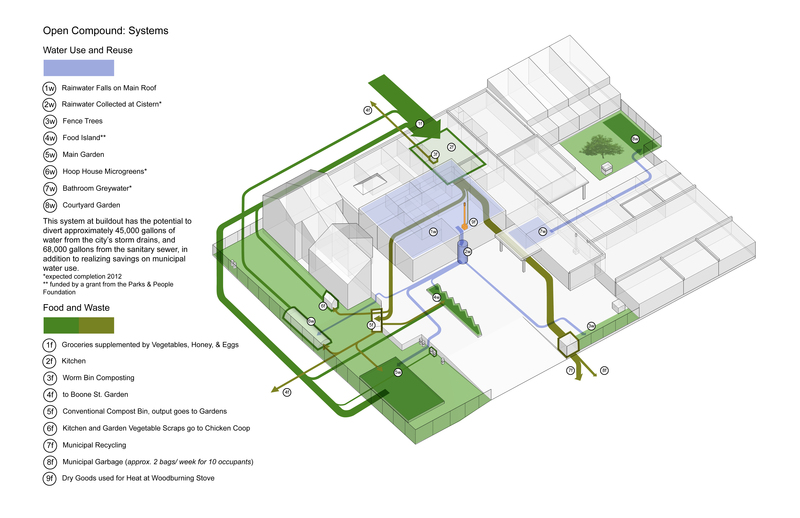 This is an ongoing project for a live/work facility in Baltimore, organizing the material and energy flows into a sustainable system for living and production. The tectonics of Pillow Fort Semper were based on Gottfried Semper's Four Elements of Architecture. For Semper the 19th Century German critic of art and architecture, the home was constructed from traditional craft activities like ground cultivation, solid masonry, stick framing, and cooking. Each of these methods is translated into the building of the pillow fort. First comes the ground preparation, as the rugs and pillows are organized to make the floor inhabitable. Large couch cushions are arranged like modular stone slabs, with uprights and lintels enclosing space. Space Settlements is a book project authored by me, looking back on NASA's 1975 plan to build huge cities in space for thousands of people. Space Settlements discusses NASA's proposals within the cultural and design contexts of the 1970s. This project was an act of speculative futurism, but it also registers in the realms of art, architecture, urban design, and the popular cultural imagination, and has a lasting implications and influence today. Space Settlements will be published by Columbia University's Columbia Books on Architecture and the City imprint. This book is supported by a generous grant from the Graham Foundation for Advanced Studies in the Fine Arts. 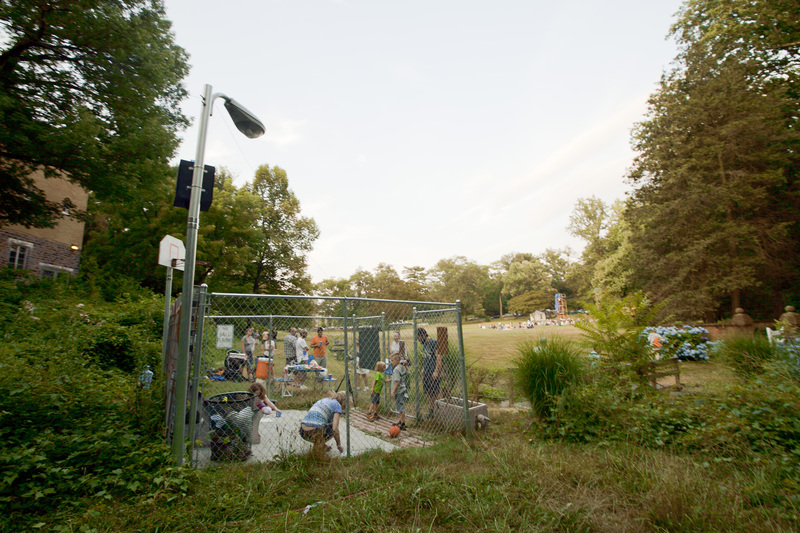 This project has been exhibited in a solo show at pinkcomma in Boston, and at Artscape and School 33 in Baltimore. In recent decades, space exploration has been the heroic imperative of humankind, but this was not always the case. 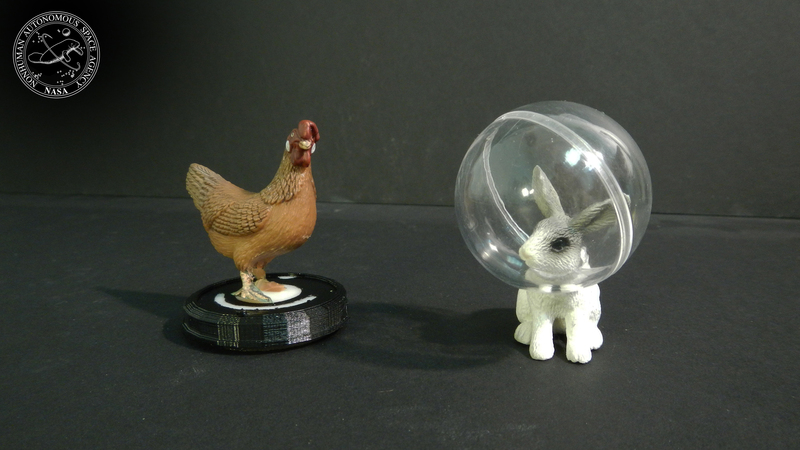 The first Earthlings in space were dogs, monkeys, and rabbits. Offering the opportunity to explore space back to nonhumans reveals new opportunities, risks, and rewards. Would an animal already adapted for life in a weightless medium not be better suited for free fall? What would an intelligent, curious, nonhuman mammal with a twitter account want to see and do in high Earth orbit and beyond? This image was made as a limited edition, hand colored screen print. The Lazy River is a habitat modeled on south Florida. It has a sevenfold symmetry, formed from the deconstruction of an asteroid into its component materials, then extruded with a 3D printer and woven together, with a large river around the middle, and windows fore and aft that receive reflected sunlight. The river running around the deepest part of the hollow asteroid is home to a colony of Florida manatees. In intelligence tests, manatees have performed at least as well as dolphins, in both pattern recognition, and task performance, just more slowly. Unlike most other intelligent aquatic mammals, the manatee's flippers are visible in their field of vision, allowing for fine grained flipper-eye coordination. 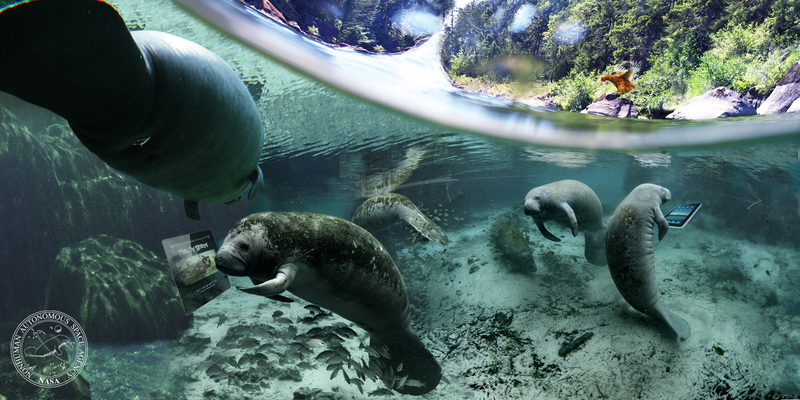 There is no reason why a manatee would not be able to operate a touchscreen device, in theory. 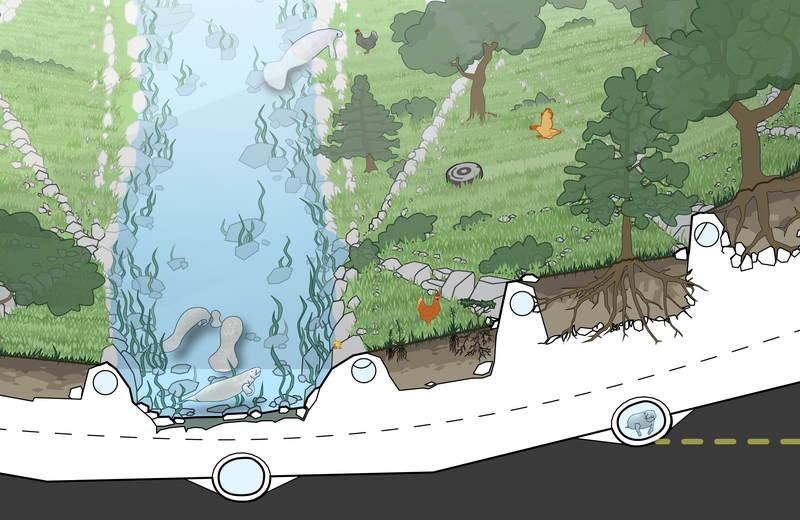 The design challenge for habitats like the Lazy River is to create as many opportunities as possible for interaction between the animals and the robot caretakers that manage the environment. Animals and robots make productive partners. These modified found objects are made from off the shelf pieces, customized with 3D printing and traditional fabrication shop techniques. Working with objects in this way opens up a space between the model, which provides new ways of thinking, and the toy, which can simply be played with. 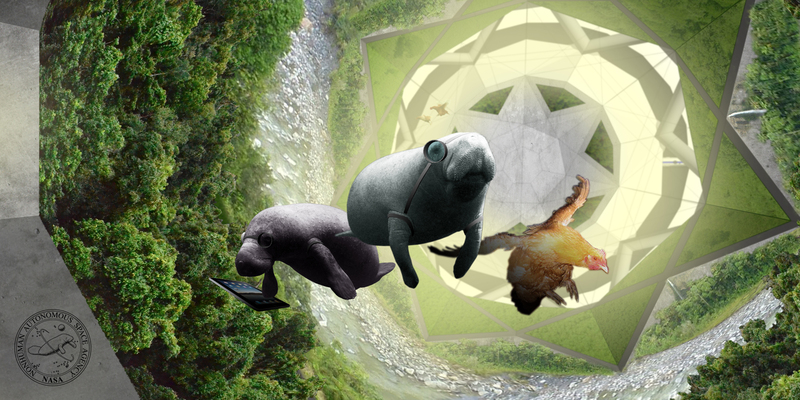 The Nonhuman Autonomous Space Agency was exhibited in Boston at pinkcomma, a gallery for speculative architecture and art. 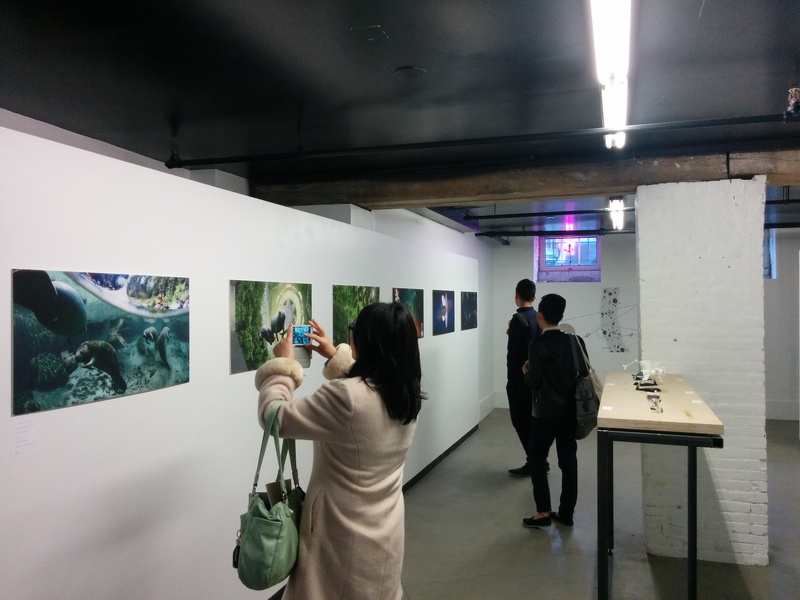 A second version of the Future Manatees sculpture installation was shown at the 'Viscerally Yours' exhibition at School 33 in Baltimore, along with other work from the Nonhuman Autonomous Space Agency. 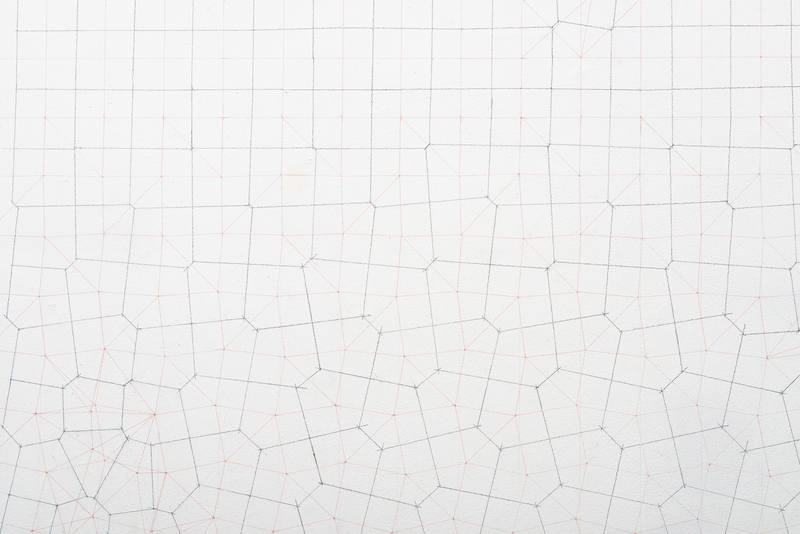 This image is an animated gif, click to activate. 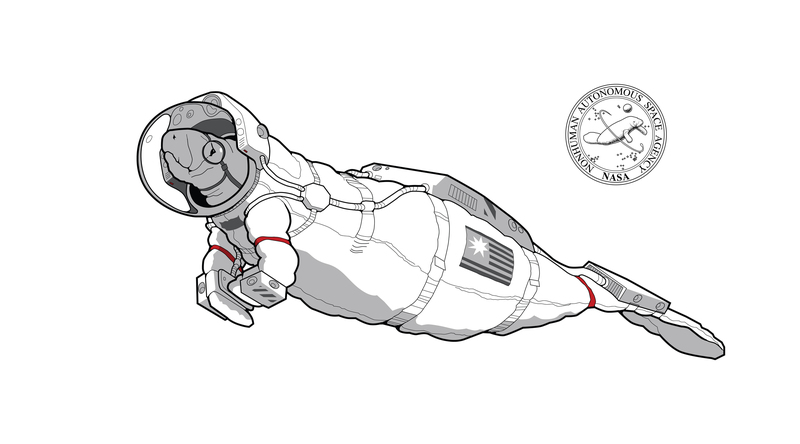 Future Manatees was created for Artscape 2015. A herd of 6 inflatable mylar manatees floated and swam in the air above the paths of Baltimore's Pearlstone Park for the duration of the three day festival. This image is an animated gif, click to activate. 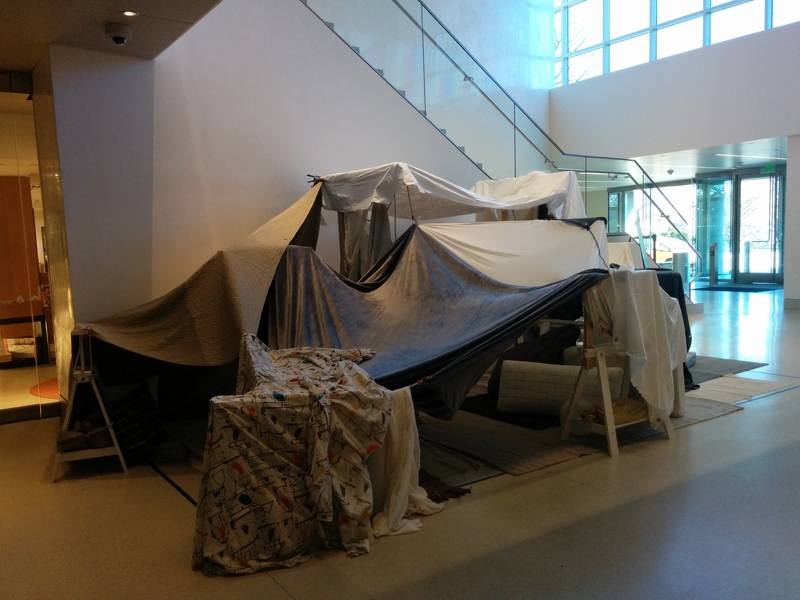 Pillow Fort Semper was created for the Baltimore Museum of Art in 2016, as an interactive event activity and temporary exhibit in the East Lobby. 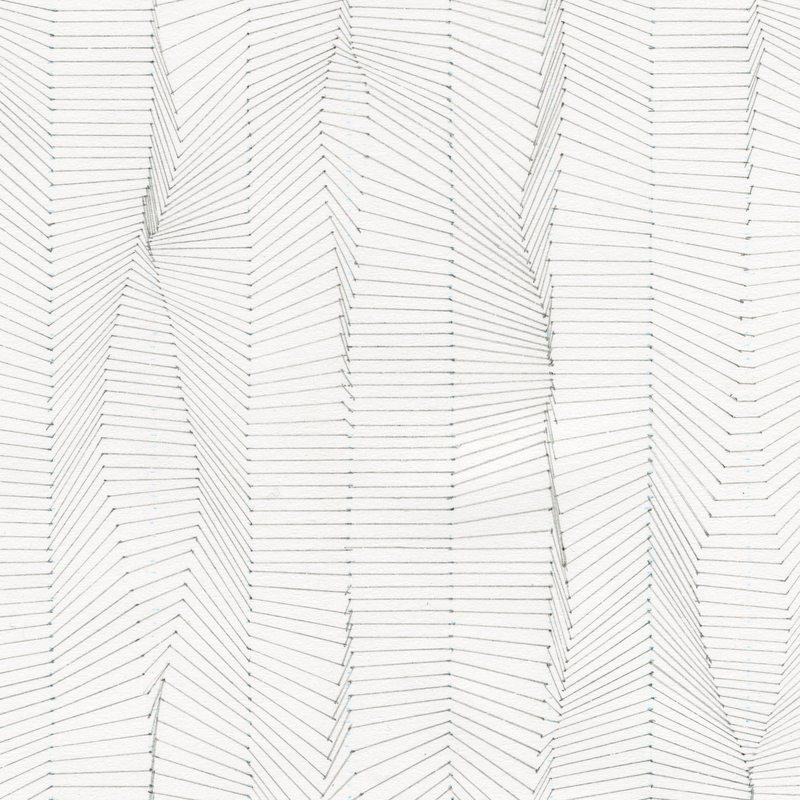 This project was designed and produced in collaboration with Marian April Glebes. Since the dawn of time, humans have been rearranging their stuff. Stonehenge, Easter Island, the Great Pyramids, can all be seen as the results of people deciding to move their things around. As soon as couch cushions, chairs, and blankets were available, someone was probably combining these pieces in ways that they were never intended to be combined. People (of all ages) use furniture and fabric to make forts within their homes for a lot of reasons, but most of these boil down to a need find some temporary refuge from everyday life. If the home is a shelter, then the pillow fort is a shelter within the shelter, an interior within the interior. The pillow fort is defensible space, but it is not made of hard warlike materials. Instead it is soft, the comfortable, inviting ordinary stuff of the home is rearranged into new configurations to make new kinds of space. The pillow fort has a whimsical legibility, it reads as both the castle and the couch at the same time, and it invites us to engage with it, to use it, and to remake it. This making and remaking is extra fun with company. Just like in full size home-building (or Stonehenge building), the creation of the pillow fort needs extra hands present, if only to balance the couch cushions while the blanket is draped over the top. 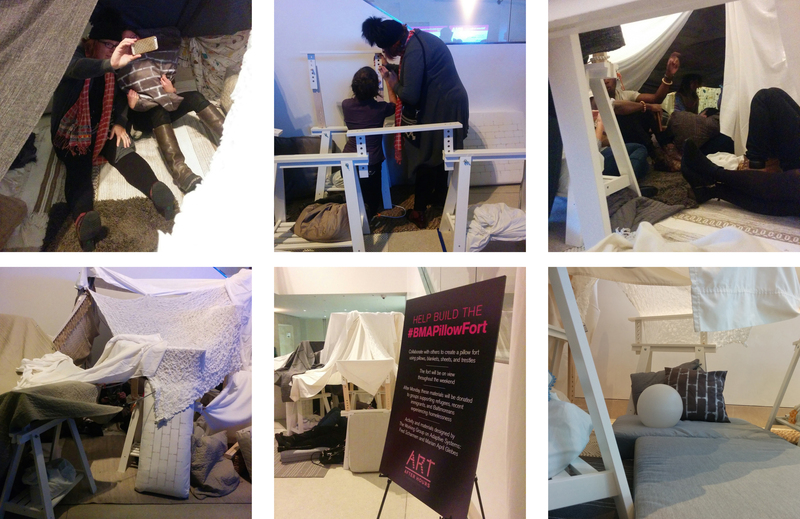 Pillow Fort Semper was designed to be an interactive system of elements that could be arranged and rearranged over the course of the Baltimore Museum of Art's event series. In the longer term, most of the components of Pillow Fort Semper were repurposed, donated to organizations in Baltimore helping displaced people, refugees, and those experiencing homelessness. Pillow Fort Semper was a place for engagement, a place for refuge, and a place for selfies. 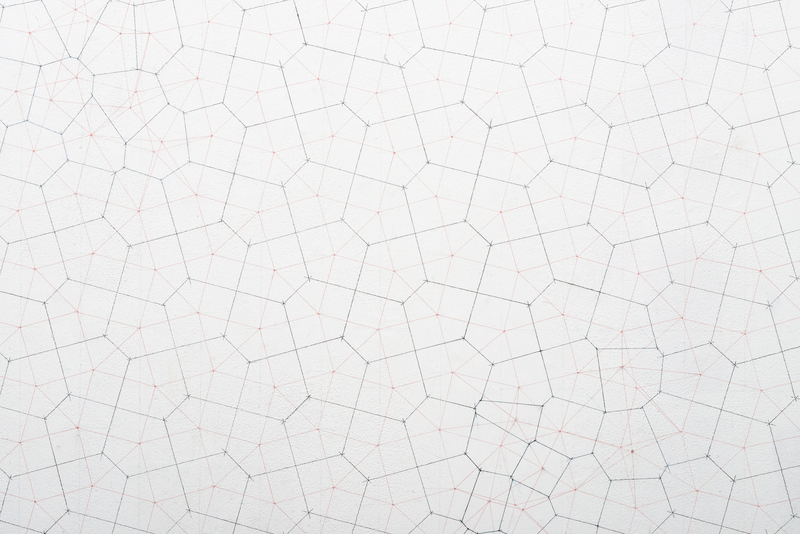 Each of these tectonic systems will be customized by the artists/architects. The couch cushions and blankets will feature the textures of traditional building materials - like English bond brick, CMU, and wooden siding - stenciled onto them. The trestles will be customized with extra extendable crutches, to make the space more proportionally suited for adults to occupy. The blankets and sheets will be grommetted on the corners, so that they can function as efficient membranes, and cords help to hold the whole system together. Evergreen Commons was a site specific installation for Sculpture at Evergreen 6: Simultaneous Presence. Designed and built in collaboration with Eric Leshinsky and Ryan Patterson, this was an exercise in urban public placemaking, with work contributed by several Baltimore artists: Gary Kachadourian, Michael Benevento, Lee Freeman, Sarah Doherty, Jonathan Taube, Billy Mode and Services United. This new public space was placed in a dialogue with an existing historic garden opposite, with the grounds of the 19th century estate within which it was situated, and, ultimately, with the city at large. In the summer of 2010, the artists held regular public events here, with games, music, and food. 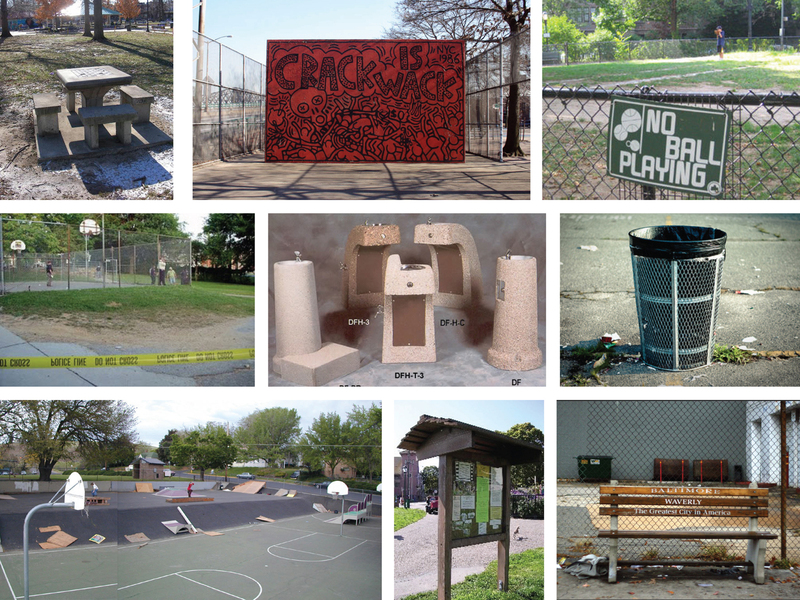 This project was awarded 'Best Site Specific Work' in the Baltimore City Paper's 2010 annual Best of Baltimore issue. Evergreen Commons was a site specific installation for Sculpture at Evergreen 6: Simultaneous Presence. 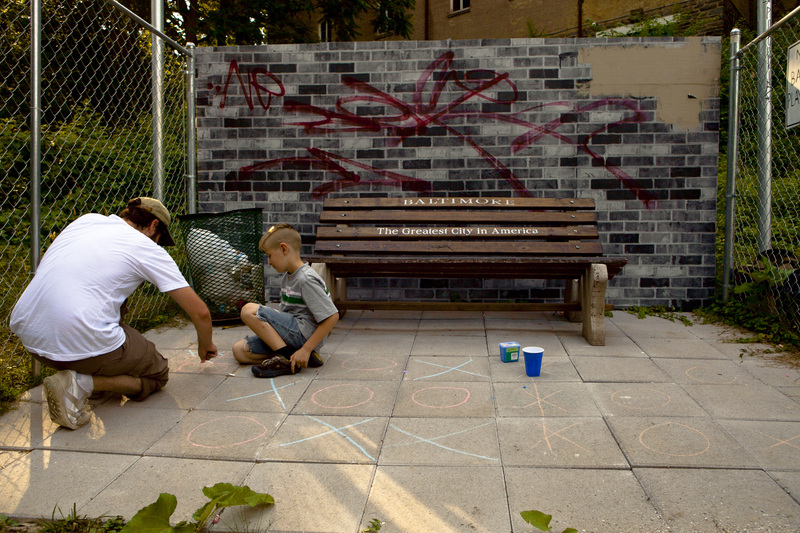 Designed and built in collaboration with Eric Leshinsky and Ryan Patterson, this was an exercise in urban public placemaking. This new public space was placed in a dialogue with an existing historic garden opposite, with the grounds of the 19th century estate within which it was situated, and, ultimately, with the city at large. Photograph courtesy of Marian April Glebes. 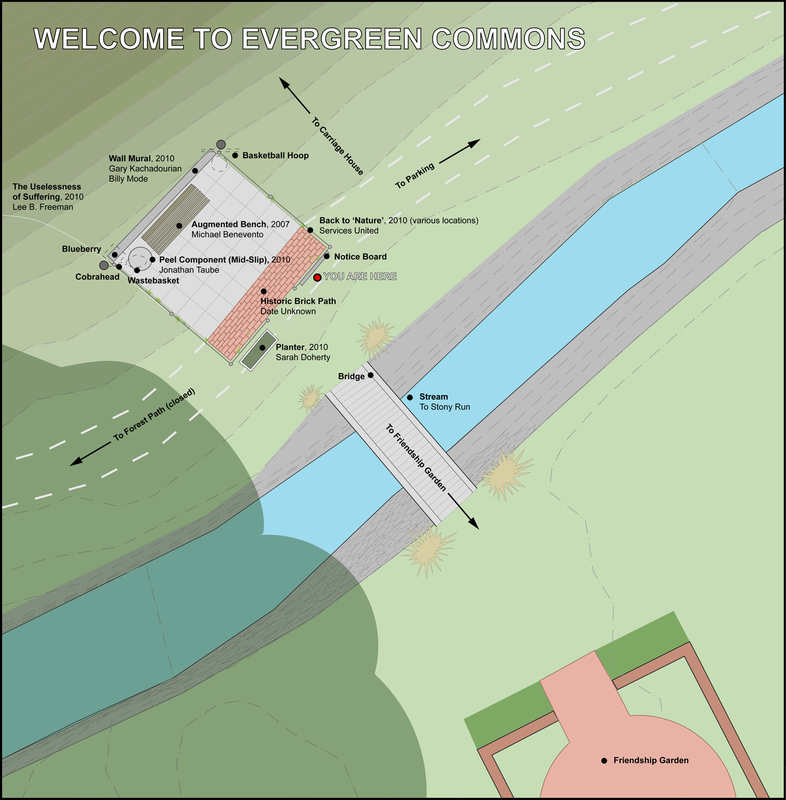 Evergreen Commons was sited to be in dialogue with the pre-existing features of the ground of Evergreen House, like the walled Friendship Garden across the stream, and the historic brick path unearthed during the construction of the Commons. Evergreen Commons was part of the Sculpture Biennialle at Evergreen House, a cultural property of Johns Hopkins University, and once home to the family that built the B&O Railroad. Evergreen Commons recreated and rearranged the elements of a typical urban park into a social oasis on the wide green lawns of the semi-public space of Evergreen House. The piece incorporated pre-existing work from several Baltimore artists. Shown here are contributions from Jonathan Taube, Michael Benevento, Gary Kachadourian, and Billy Mode. Photographic collage courtesy of Annene Kay. 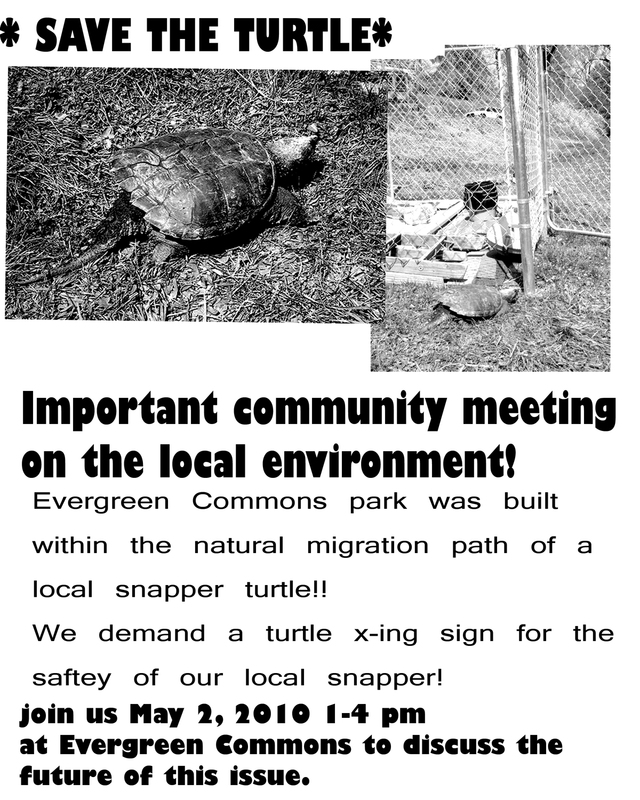 Within Baltimore, Evergreen Commons takes its place as part of a network of places that are partly made by artists and designers, and partly made by the people who use them. 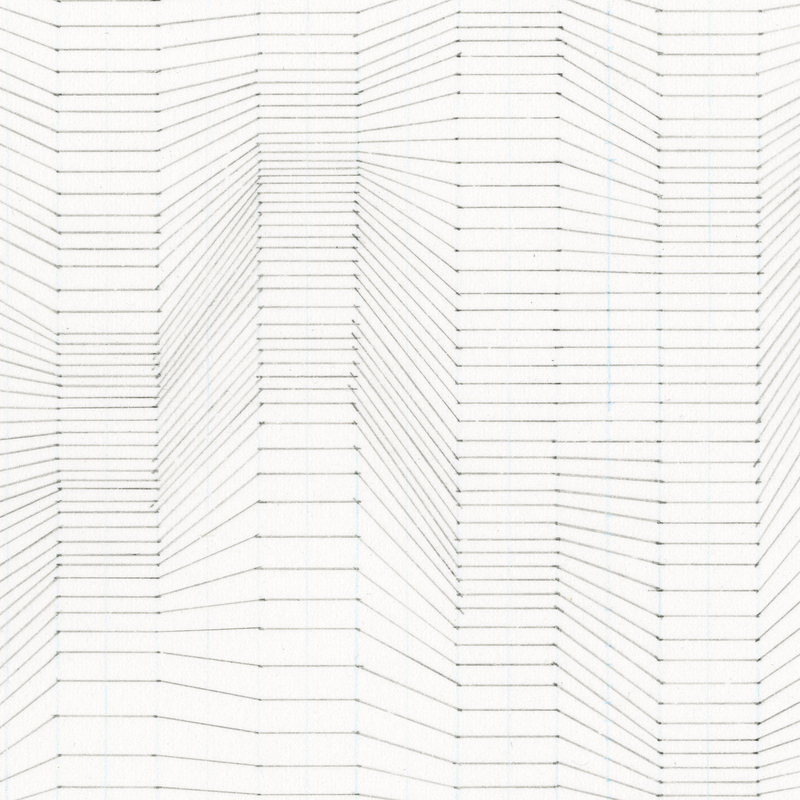 These drawings explore continuous curvature based on a few simple rules about line length, line connections, and degree of change. In each case, a system is developed, and then pushed to its limits or crashed. 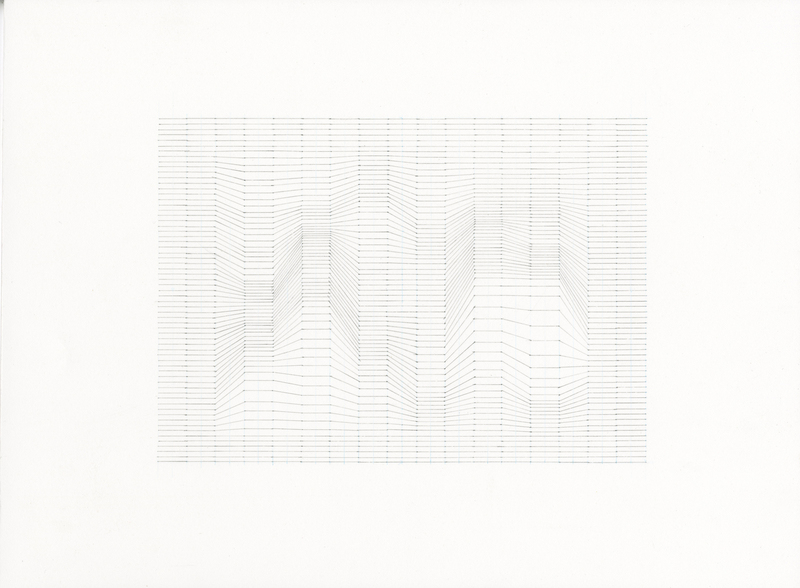 Graphite on paper 10 3/4” x 15 3/4”, 2012 These drawings were shown at MICA's Meyerhoff Gallery as part of the Sondheim Prize Semifinalist show in 2014. 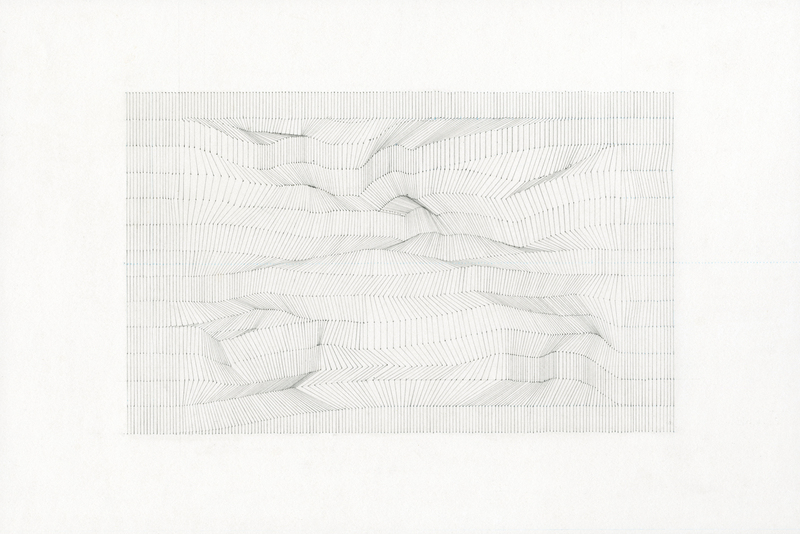 Graphite on paper 13 3/4” x 10 1/4”, 2013 These drawings were shown at MICA's Meyerhoff Gallery as part of the Sondheim Prize Semifinalist show in 2014. 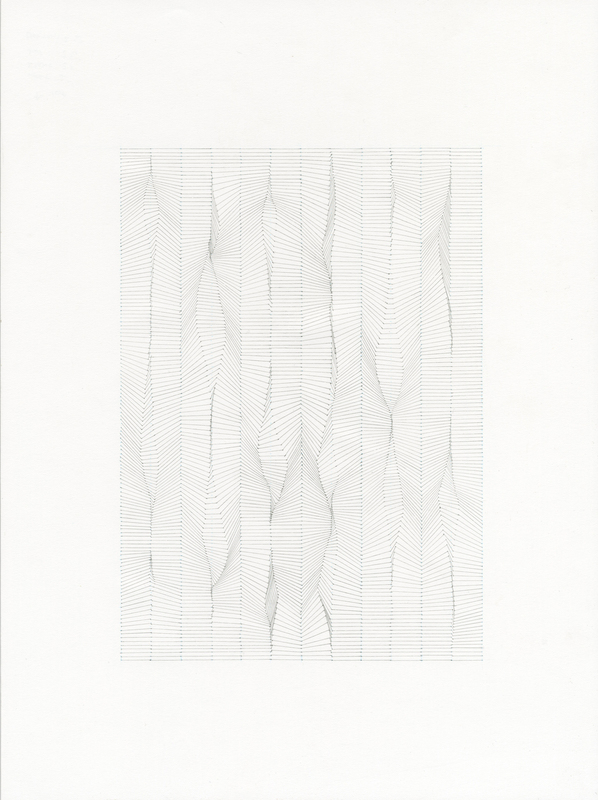 Graphite on paper 10 3/4” x 14 1/4”, 2014 These drawings were shown at MICA's Meyerhoff Gallery as part of the Sondheim Prize Semifinalist show in 2014. 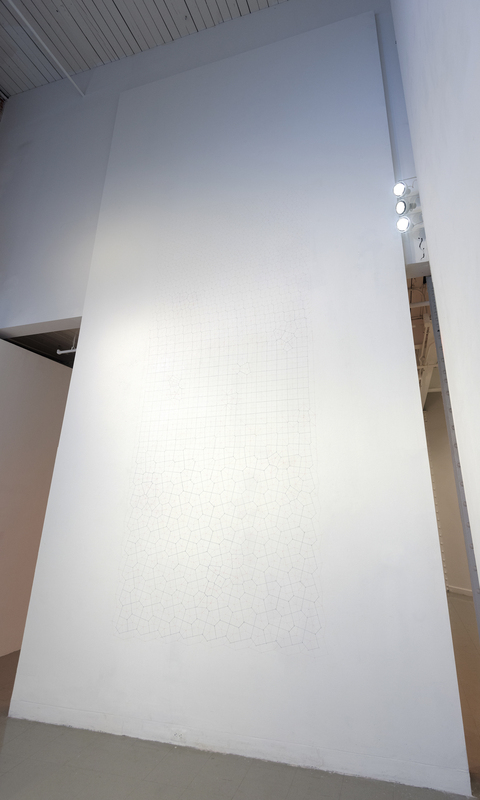 This large (14' x 5') wall drawing traces the smooth transition between three regular 2D tiling systems: hexagonal, square, and cairo. 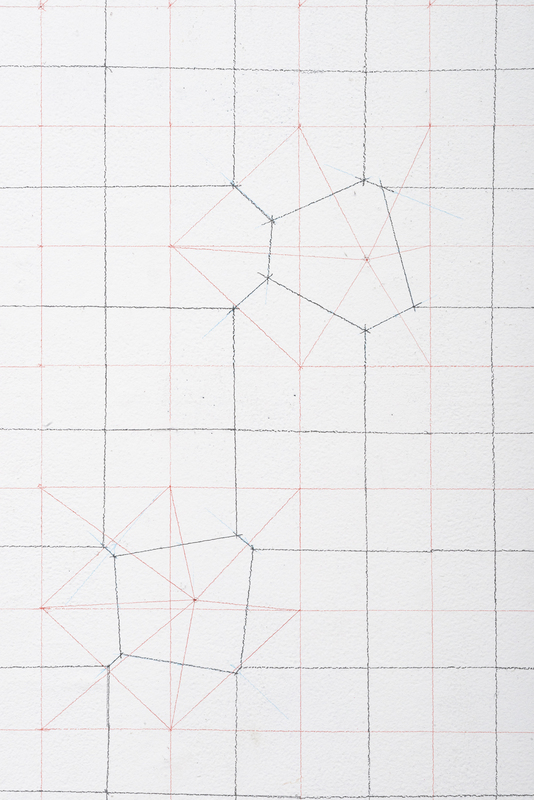 These grids are disturbed to form figural disruptions based on geometry from the traces of previous work hung on the gallery wall. 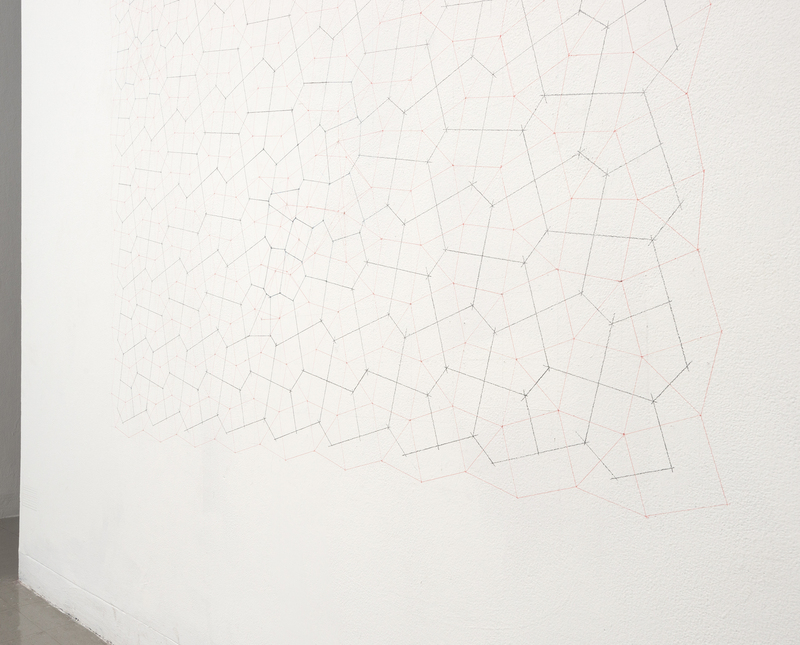 This 14' x 5' wall drawing was made for MICA's Meyerhoff Gallery as part of the Sondheim Prize Semifinalist exhibit in 2014. Photography by Joseph Hyde. 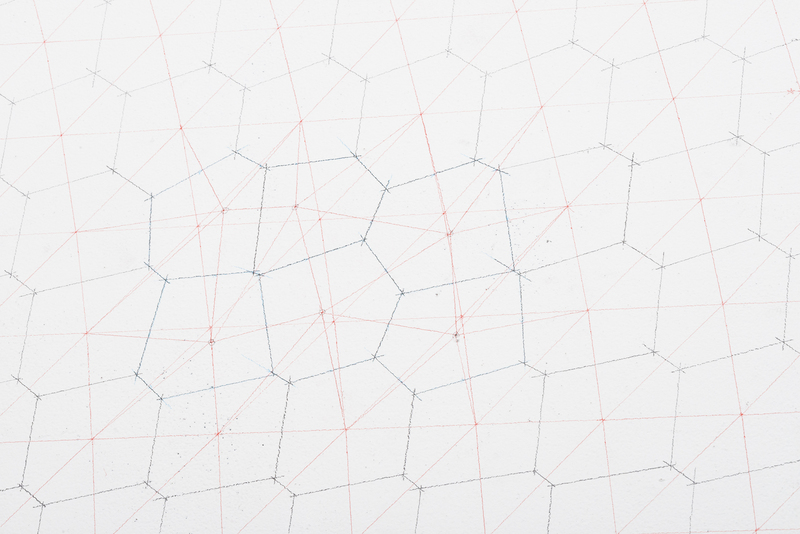 Writing and research is a vital and active part of design practice, and design teaching. This collection of writing addresses diverse audiences - those interested in popular culture, cities, and design - in academia, in professional disciplines, and in the general public. 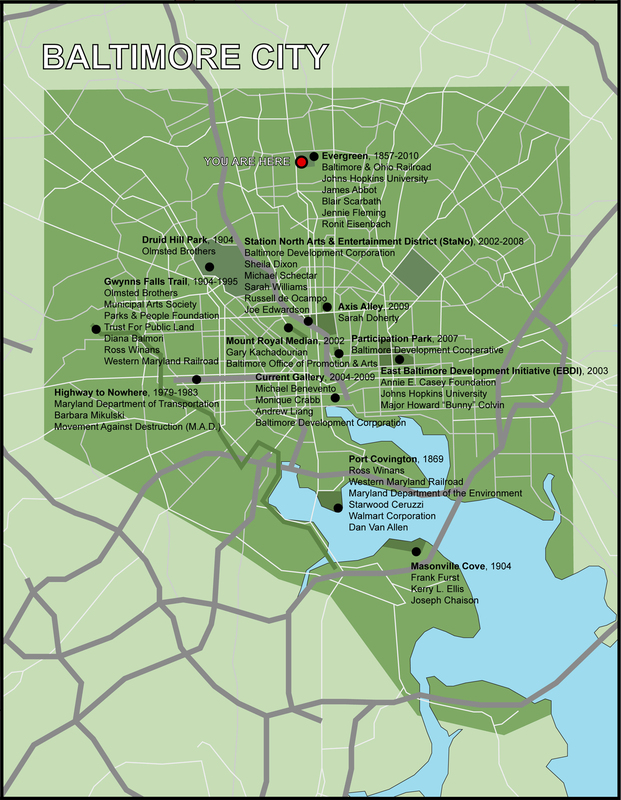 The topics of this research and criticism center around the intersection of architecture, science fiction, politics, and public space (especially in Baltimore). This feature article appeared on the cover of the Baltimore City Paper in August 2016. This piece takes a historical look at the design process behind the Inner Harbor's McKeldin Plaza, in parallel with the contemporary process of approval for the site's demolition and makeover. This article relied on extensive interviews and site visits with the former Executive Vice President of Charles Center - Inner Harbor Management Inc., the late Albert Copp. It won the AIA Baltimore President's Award for Architectural Journalism in 2016. This piece, cowritten with Michael Stanton, uses the science fiction icon Robby the Robot, along with a discussion of Baltimore's vacant lots, to find ways into contemporary architectural theory. 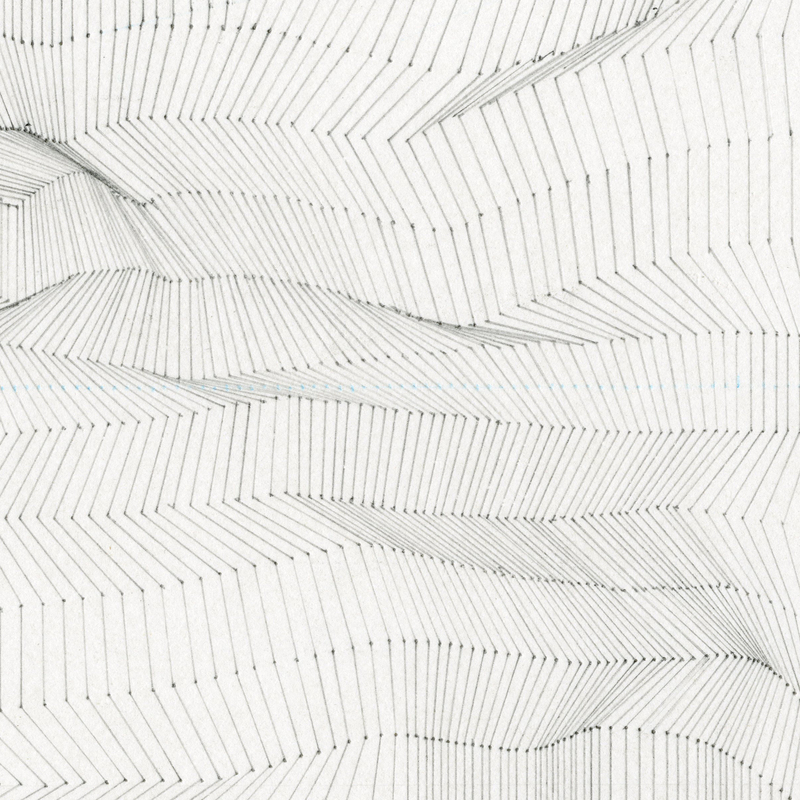 It was published in the international design journal Volume in 2015. This piece was written for the Baltimore City Paper in 2015. Starting from a review of the Matt Damon / Ridley Scott film 'The Martian,' the article follows the changing ways that the space race, and the races and genders of its participants, are portrayed in popular culture. This essay on houses who have social media accounts was written for the architecture and criticism journal Log. It locates the history and potential of buildings who speak for themselves in the first person within the development of modernist architectural theory. 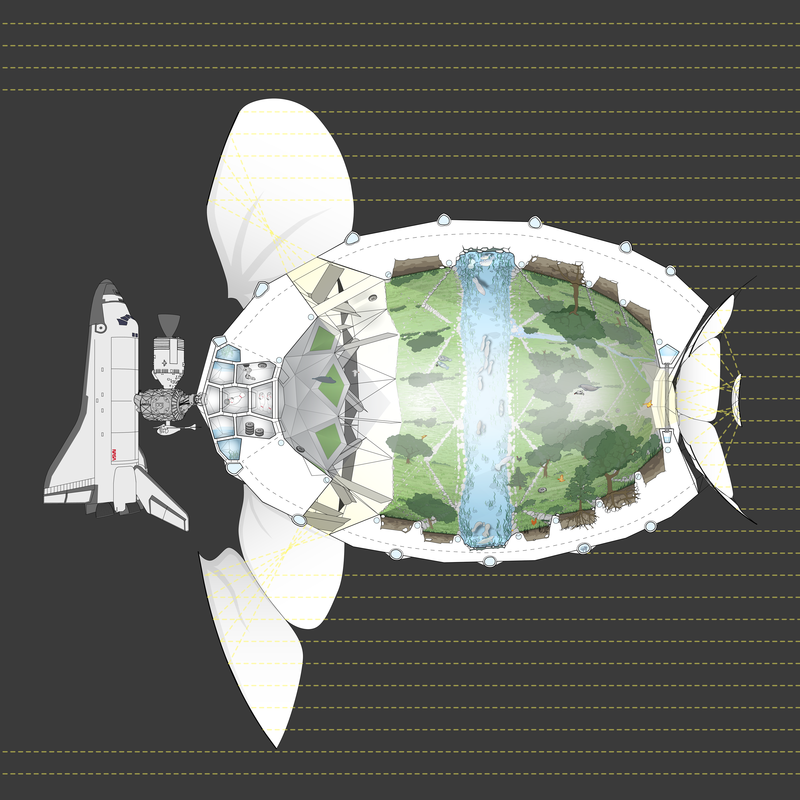 This piece, for Columbia University's journal The Avery Review, is part of an ongoing body of research into the design and visualization of large human habitats in outer space. This piece for the Baltimore City Paper is part of a series on the history and significance of Baltimore's McKeldin Plaza and Fountain. The Fountain was then under threat of demolition, it has since been destroyed. This essay, written for the Architects Newspaper, is a review of the 2016 AIA National Convention in Philadelphia. It uses speeches by Denise Scott Brown and Rem Koolhaas to examine the new resurgence of normality in buildings, cities, and theory. 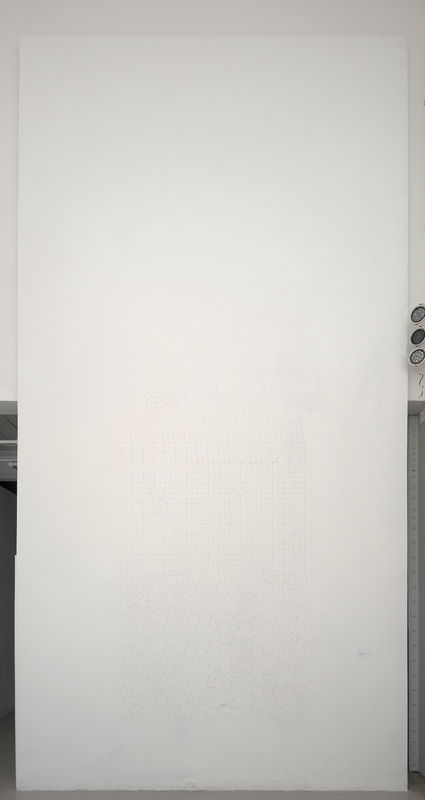 A key aspect of this work is spatial practice. Work in other disciplines - research writing, visual art, installation, architecture - feeds into this. This practice is centered around the creation of images that evoke new realities, to help build consensus among collaborative team members, and to aid in creating public audiences. 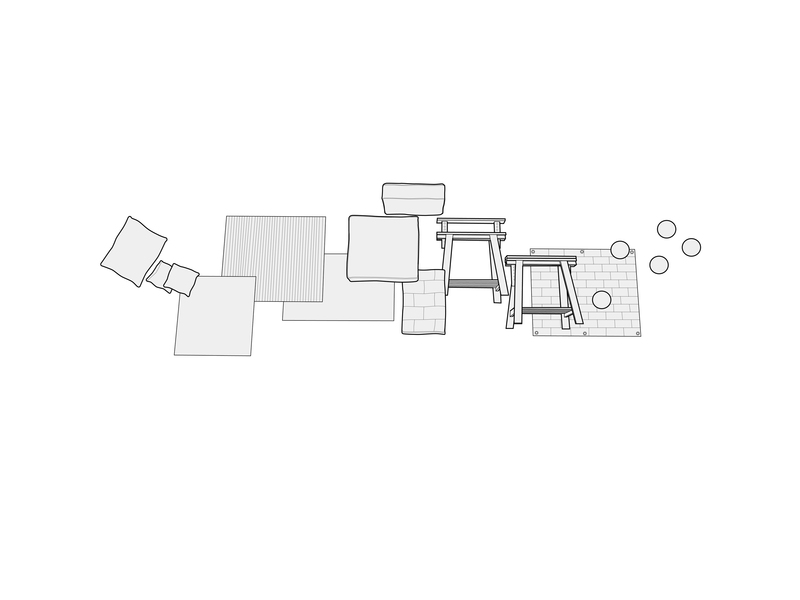 This project, designed in 2009 with a sculptor and public art consultant, reimagines corporate plaza art as a system of geometric modular components that can be rearranged by the users in order to create different kinds of space. 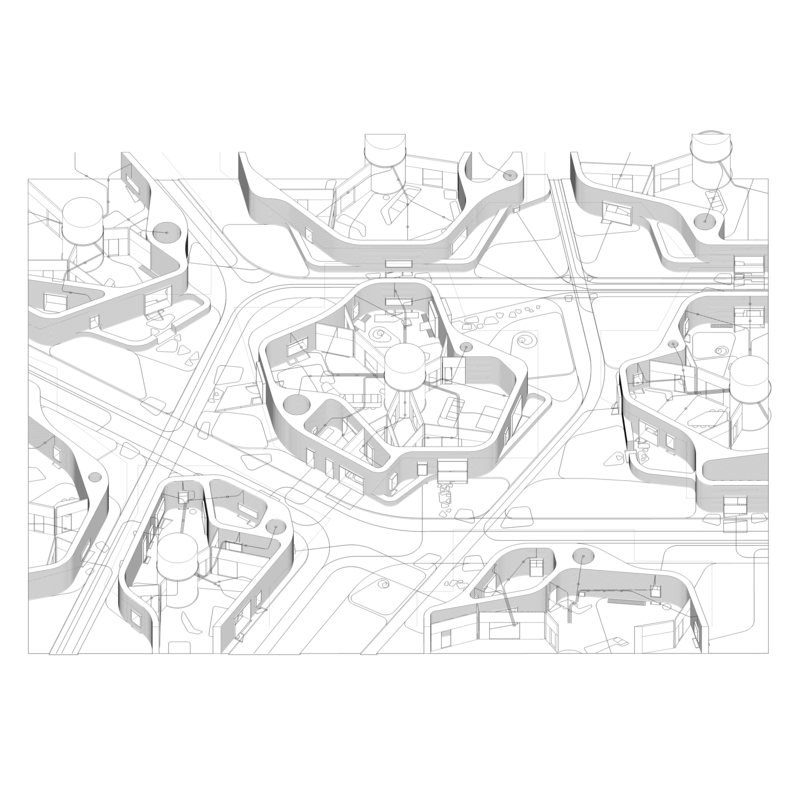 Application House is an ongoing speculative research project, remaking the neighborhoods and houses of the future, taking into account emerging technology like automated vehicles and 3D printing concrete. The project is a cultural critique of the possible implications of this technology on consumer domestic life. This project, created in collaboration with a poet, a user experience designer, a sustainability expert, and an architect, was a proposal for the Storefront for Art and Architecture gallery space in 2016. 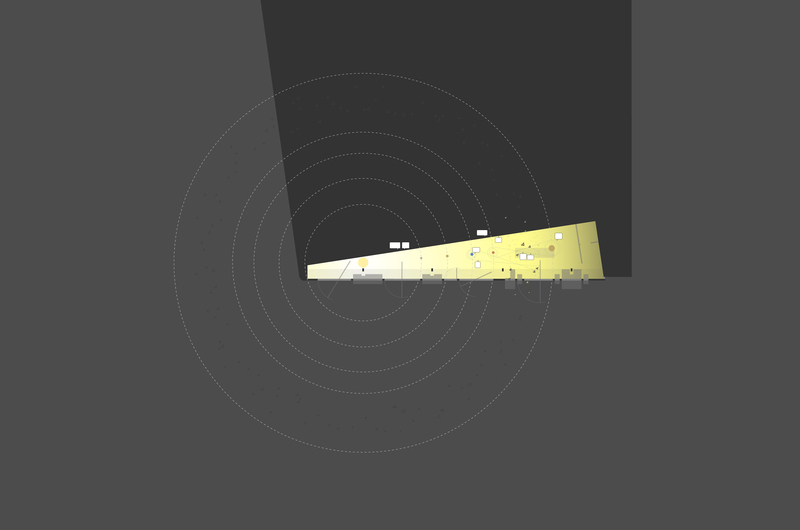 An interactive model solar system is the platform for engagement with architectural autonomy. This project was created with the gallery and arts institution Current Space. 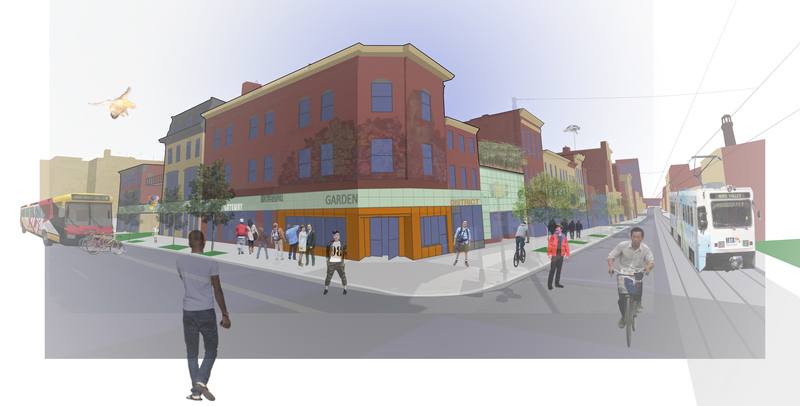 This is an ongoing proposal for an expansion and enhancement of their space on Howard St. in Baltimore. This project was the recipient of several local grants for its future execution. 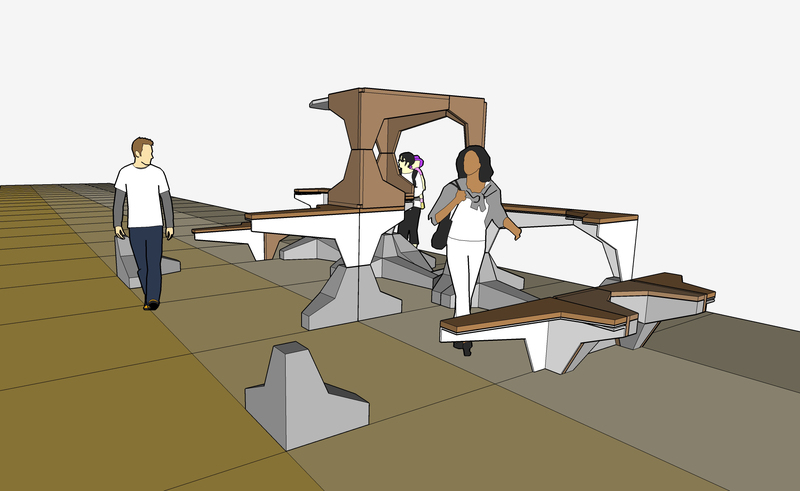 This rendering illustrates the concept for an installation on Charles St. during Artscape in 2012. 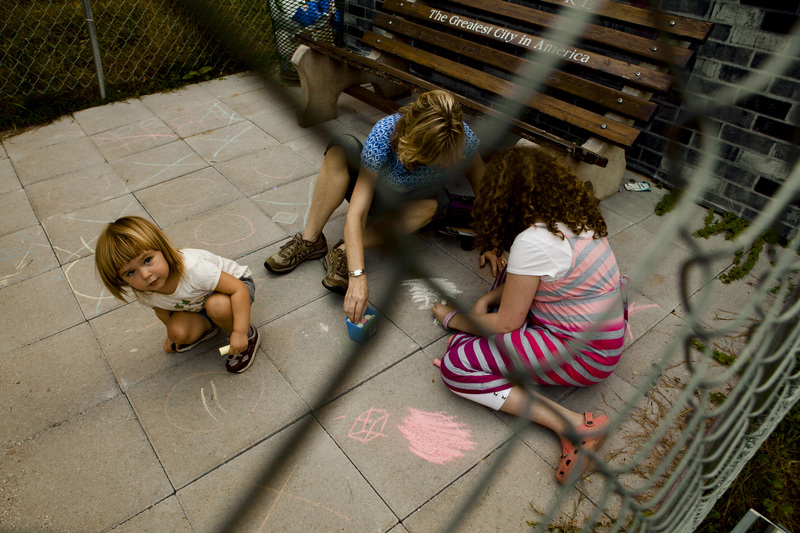 This project was created in collaboration with Marian April Glebes and C. Ryan Patterson. 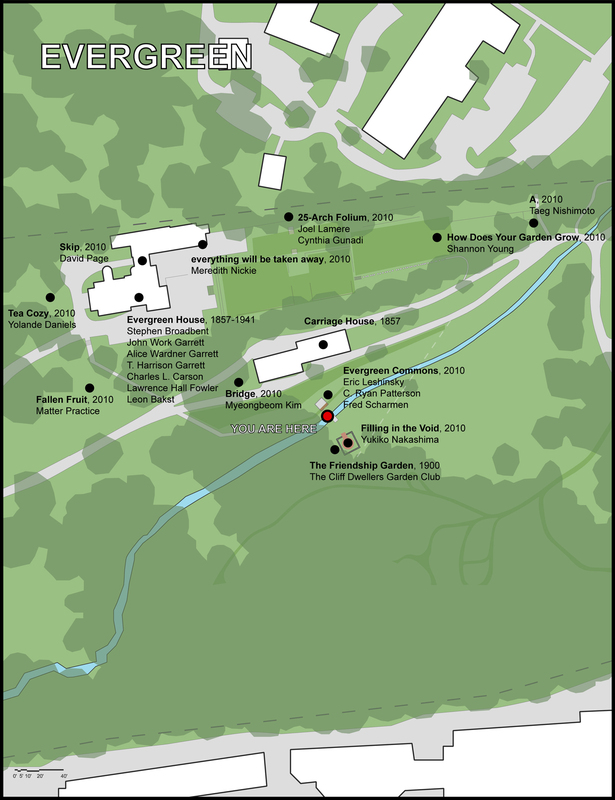 This is the site map for a project curated and designed in collaboration with Marian April Glebes and Ryan Patterson. 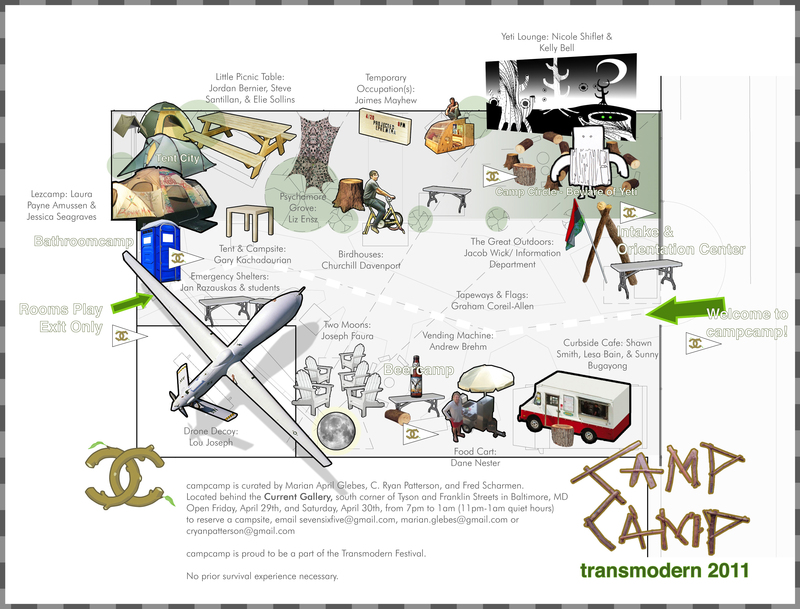 Campcamp was made, with various artists, for the Transmodern festival in 2011, transforming the back courtyard at Current Space into a site for temporary occupation.